ESLOV’s plug-in modules let even first-timers build clever devices. Arduino boards can certainly be used to create homebrew connected devices, but that doesn’t mean it’s easy. What if you’re a rookie who has yet to master programming or wiring? 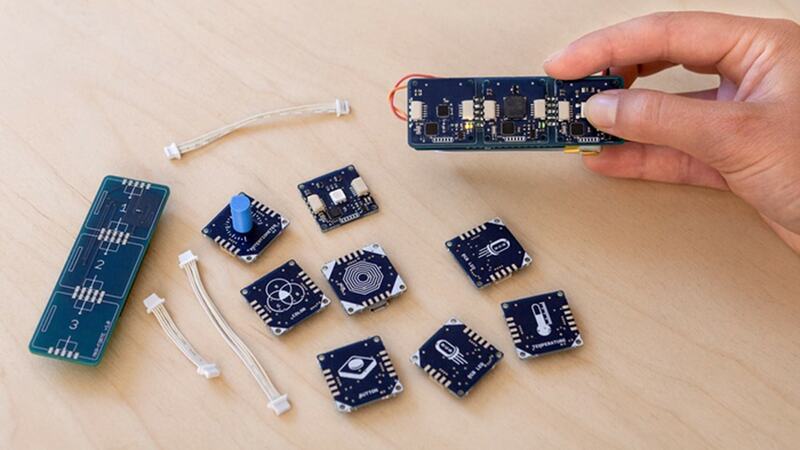 That’s where Arduino’s new, crowdfunded ESLOV kit might save the day. All you have to do to create a basic Internet of Things device is snap in some plug-and-play modules, connect your creation to your PC and draw connections between those modules in an editor. You only have to dive into serious programming if you have specific needs — there’s ready-made code for common devices like air quality sensors, baby monitors and remote-controlled thermostats. If you like the idea, you can pledge to get one of several ESLOV kits that’s more likely to meet your technological ambitions. Contributing about $55 will get you the core WiFi Hub, which includes a motion sensor. Spending $99 or higher will get you multiple modules, with higher tiers carrying more exotic parts like hall sensors and OLED screens. Arduino hopes to ship its crowdfunded kits in June 2017 if it meets its funding goal. No, this isn’t the cheapest way to get started on DIY devices (an Arduino Uno board costs about $22), but it might be ideal if you’re teaching kids to build electronics or want to gradually ease into a gadget making hobby.